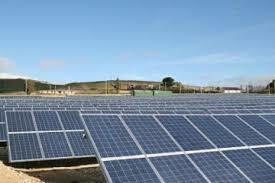 A 1MW solar farm in Sicily has commenced operations with modules by Zytech Solar. The park, located in Santa Ninfa (Trapani), is one of the largest on Italian island and has been installed by Celi Società Cooperativa. In this installation, 4,300 Zytech polycrystalline silicon solar modules have been used in three models: ZT225P, ZT230P and ZT235P, mounted on fixed structure in accordance with regional environmental impact legislation. This grid-connected facility can generate more than 1,387,000 kWh/year of clean energy, equivalent to the annual consumption of 325 households, thus avoiding the yearly emission of 693 tons of CO2 into the atmosphere. This farm joins other installations in Italy with Zytech modules, which are enjoying great success in that country thanks to their excellent value for money, their certifications together with their robustness and durability. Zytech Solar is a Spanish producer of photovoltaic modules offering excellent value for money and which has been present in Italy for two years. It has recently opened its headquarters in Milan in Italy, where it has a dedicated sales team. In the two years that Zytech Solar has been present in Italy, more than 4MW of facilities have been installed with Zytech photovoltaic modules, including solar farms, industrial rooftop installations and residential applications. In 2011 Zytech Solar aims to sell 8MW in the country. One of the main added values of Zytech Solar products, in addition to their excellent value for money, is the adaptability of its products to all types of facilities and great versatility to suit any specific requirements, thanks to the flexibility of the company’s production structure. Zytech Solar has focused its business in major markets worldwide (Germany, Italy, France, Benelux, USA …) after the significant cuts in subventions and power restrictions imposed in Spain. Italy is now, with Germany and France, one of the largest markets for solar energy worldwide.